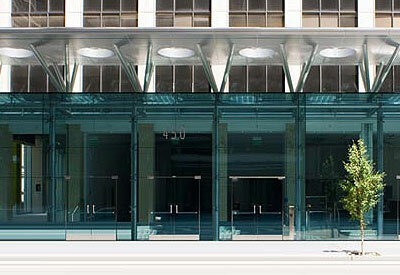 Innovative Structural Glass produces a varied line of tempered glass entrance systems and related products. We are widely recognized for the quality of materials, engineering expertise, and adaptability to architectural design creativity. With the ever increasing popularity of all-glass entrances we have steadily expanded our capabilities to accommodate the architectural demand. Illustrated in our project photo gallery are the precision engineered entrances and storefronts. Their beauty, strength and design flexibility are evident in these photographs. These entrances and storefronts serve the needs of high traffic areas such as convention centers, government buildings, and institutions. This design provides consistent high performance over long periods of time while maintaining their original handsome appearance.